Do you have a favorite designer? I have many for sure but one of my all time favorites has to be Rachel Zoe. She has the most impeccable style!!! I love everything about her and I was lucky enough to hear her speak a few months ago. She is truly one of my biggest fashion inspirations and such an icon!!! 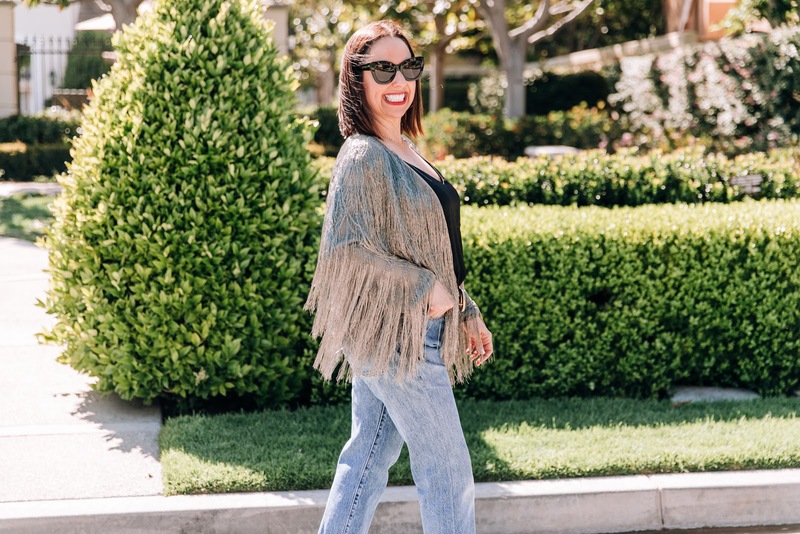 Can we talk about this AMAZING fringe Rachel Zoe jacket. When I see a piece like this that is so unique and has an edge to it, I know I have to have it. I love the cut and the cool vibe it gives off. 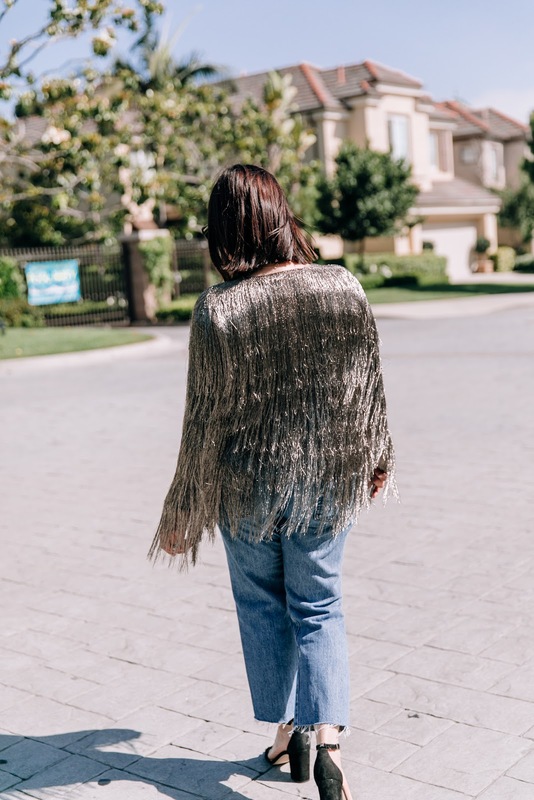 Fringe is so fun all year long. And this metallic gold color is fabulous right? I die. (Hahahaha). 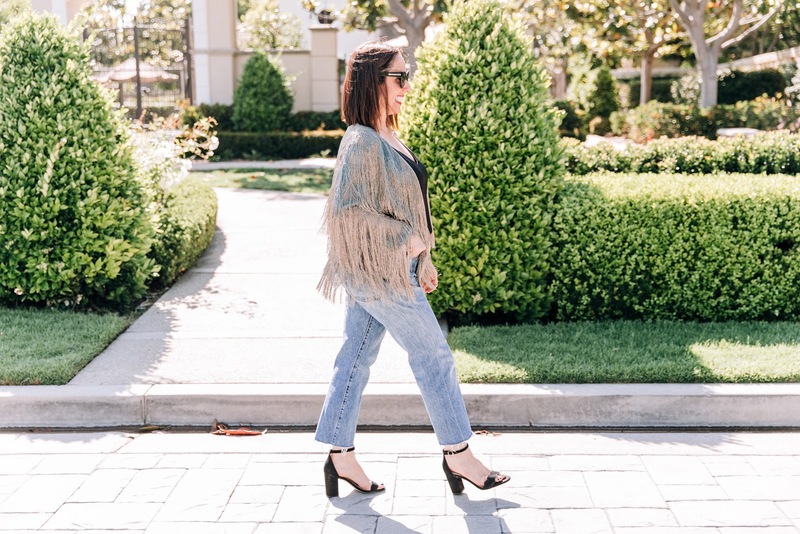 I paired this amazing jacket with my go to Levi's, a simple cami, and some basic block heels. 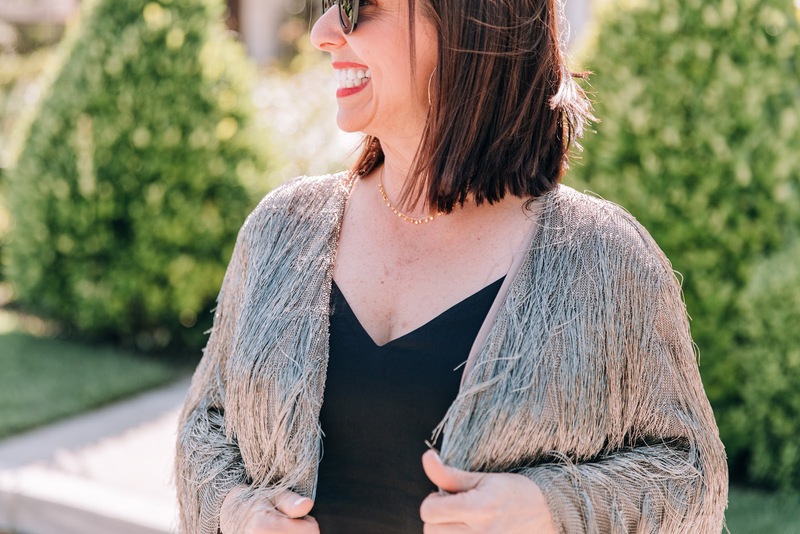 Just remember like I always tell you to, when you wear a stand out piece like this fringe jacket, you have to keep the rest of the look simple. So, take a look at the Rachel Zoe collection. I know you will find some pieces that you will love. Also, I would love to hear about your favorite designer. Let me know by leaving comments. Thanks to Kara Nixon for photos. You can shop this look by clicking on the links above. Happy Reading!!! !